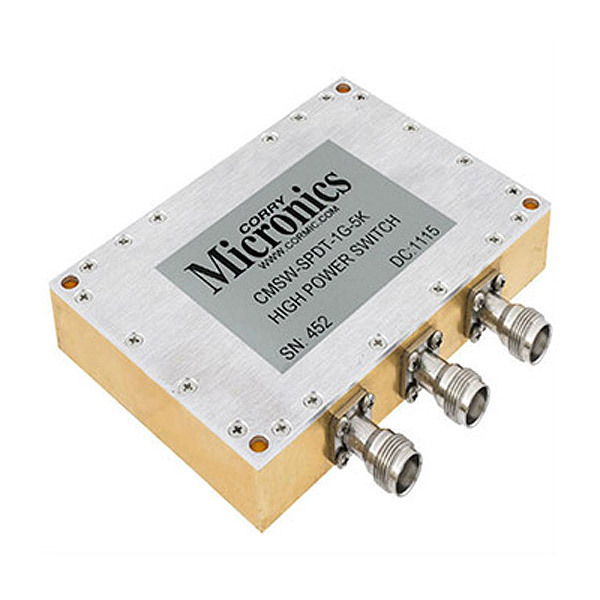 Corry Micronics’™ 3 channel, LOW PIM attenuator covers the 400 to 3000 MHz frequency range and has been specifically designed for major mobile access carriers who are attempting to measure or monitor passive intermodulation distortion/interference in communications systems. This low PIM attenuator’s performance test per QSW-08-06-174 @1850 MHz resulted in 160dBc (typical) and 155dBc (minimum) ratings. Additionally, it offers +0.05 dB per any 20MHz over the band. For additional information on its LOW PIM spec (which exceeds industry standards), the attenuator’s high power, and other features and specifications, download the datasheet. 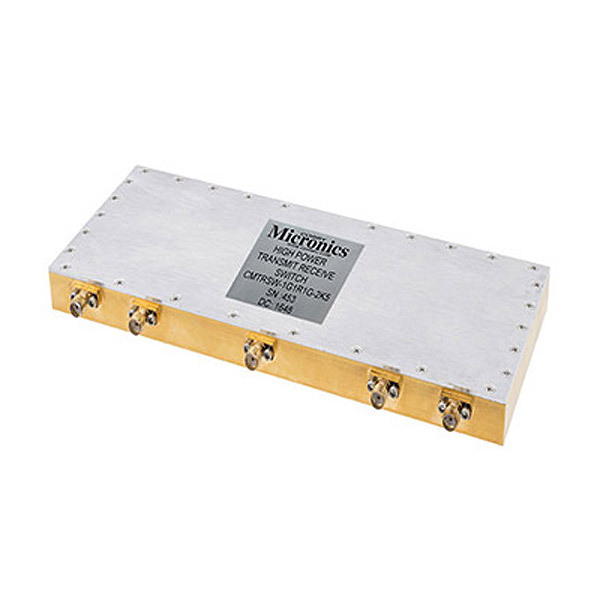 Corry Micronics’ line of high power RF amplifiers feature up to 40% efficiency, an extended temperature range of -20 degC to 55 degC for MIL-STD applications, and status monitoring signals that provide diagnostic information. These high power RF amplifiers cover the 700 MHz to 2.1 GHz frequency range and can be used for GSM, WCDMA, and CW frequency modulation types. They have a 20 Watt power output @1dB point, 43dB gain, and an operating voltage of 28 volts+/-1VDC. 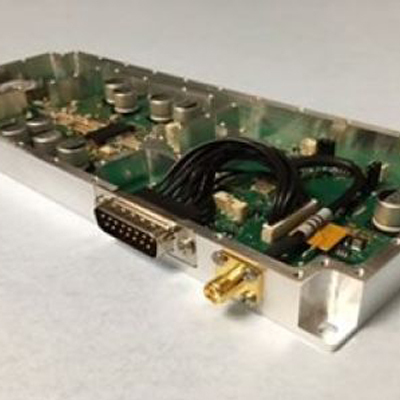 Corry Micronics’ ruggedized amplifiers have Automatic Level Control (ALC) to maintain a stable RF output level over varying temperature conditions and incorporate protections against abnormal temperature, VSWR and power conditions. Status signals from the amplifier provide indications of these conditions and can be monitored remotely. 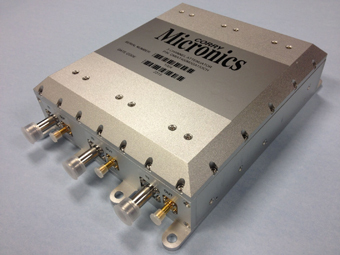 Corry Micronics’ line of low noise amplifiers feature ultra low (2dB) noise figure, broad frequency range, and at least 18dB gain. Other features include multiple channels that can each be independently bypassed. 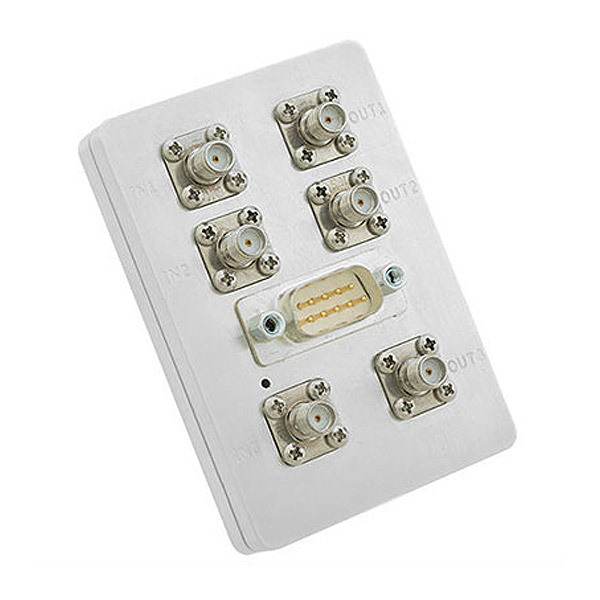 These low noise amplifiers cover the 700 MHz to 2.7 GHz frequency range and can be used for GSM, WCDMA, and CW frequency modulation types. 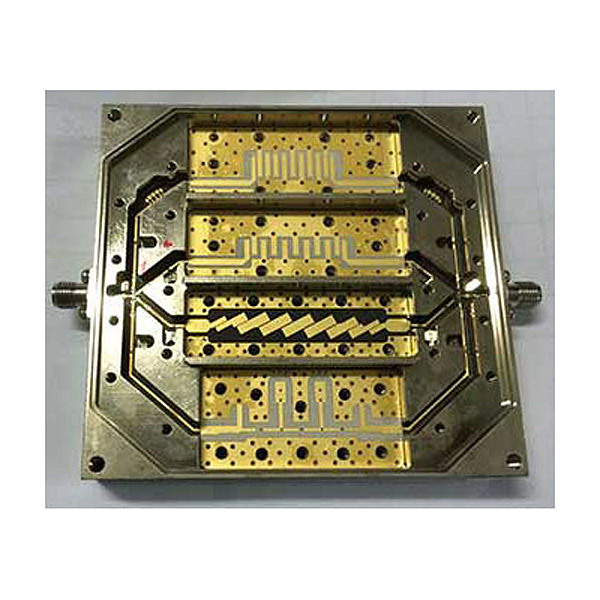 Corry Micronics’ has recently introduced a line of ceramic based strip line high frequency RF filters. These RF filters are extremely robust and light weight which make them a perfect solution for airborne applications. The CMI line of strip line filters have a frequency range from 2GHz to 40GHz with power handling to 10 watts. 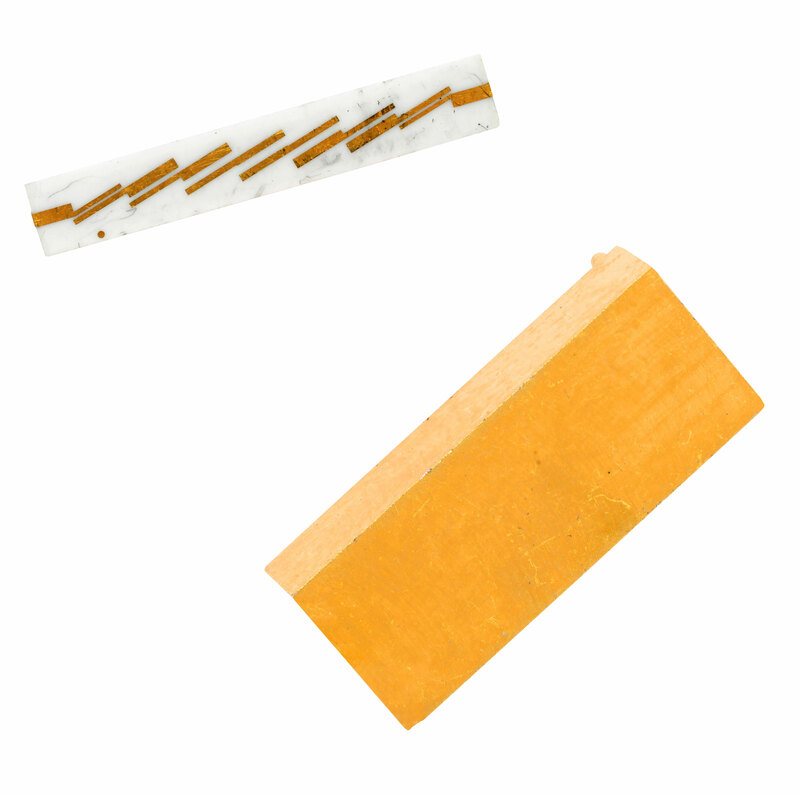 These strip line filters can be packaged as Surface Mountable (SMT), Drop-In or connectorized in housings either hermetically or non-hermetically sealed. Corry Micronics’ line of switched filter banks feature fast switching speeds, alongside low insertion loss. With broadband from DC to 40GHz, filter types include interdigital, tubular, waveguide, ceramic resonator, and much more. Corry Micronics’ line of high power switches feature peak power handling up to 5 kW. Frequency ranges from 12 MHz to 18 GHz with switching speeds less than 250 ns, customizable switching ports, and TTL control.